Goodbye Golden Dreams! 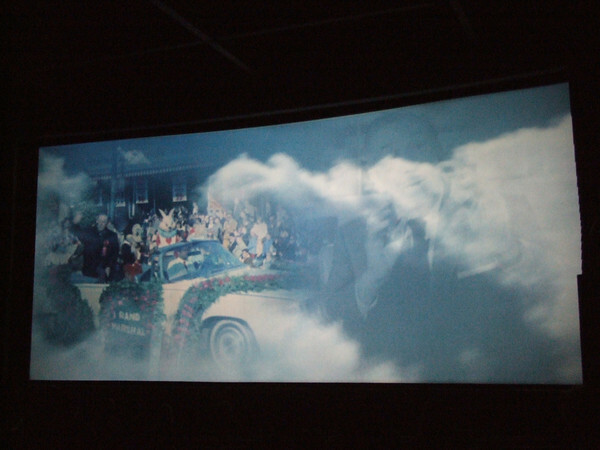 Good Riddance HSM2! 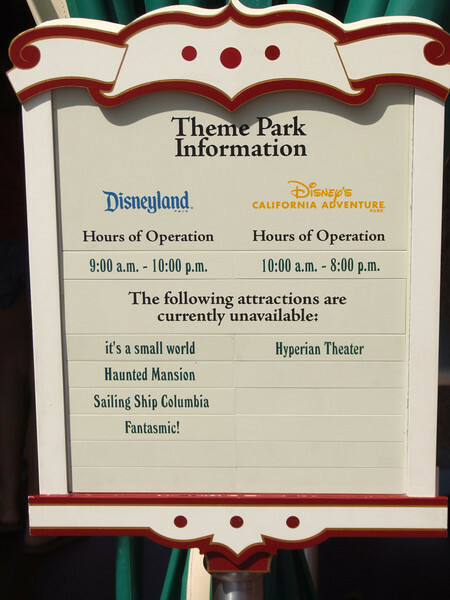 The Hyperion Theater is now listed as closed on the DLR Information Board near at the security check-points (albeit being spelled wrong). 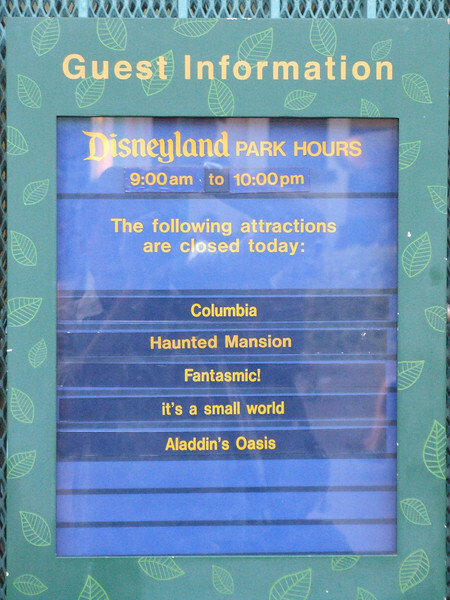 The Information Board at the Downtown Disney Monorail Station has a much more precise listing of the closed attractions in Disneyland Park. 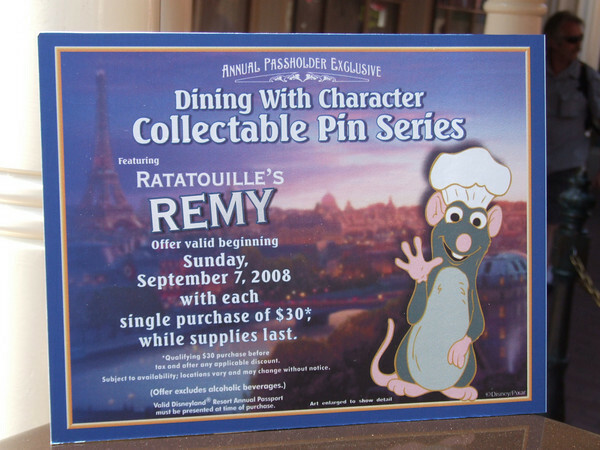 You gotta love pins with purchase. 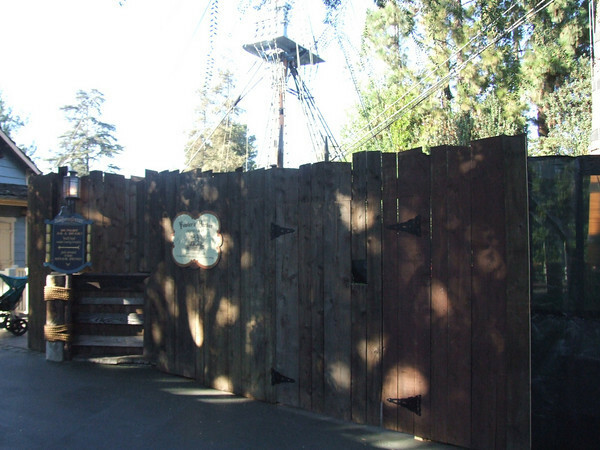 The area surrounding Fowler’s Harbor, the place where the Sailing Ship Columbia is docked, has walls up. 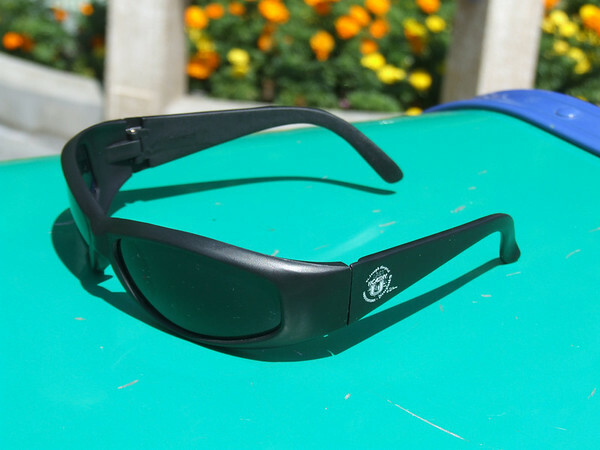 The latest Backstage Pass, Annual Pasholder newsletter offers you a free pair of sunglasses, which you can pick up at at the exit of Innoventions. 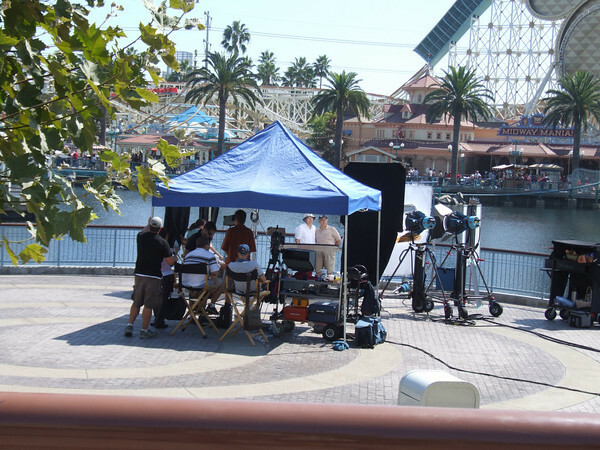 Filming of some sort going on in Paradise Pier. 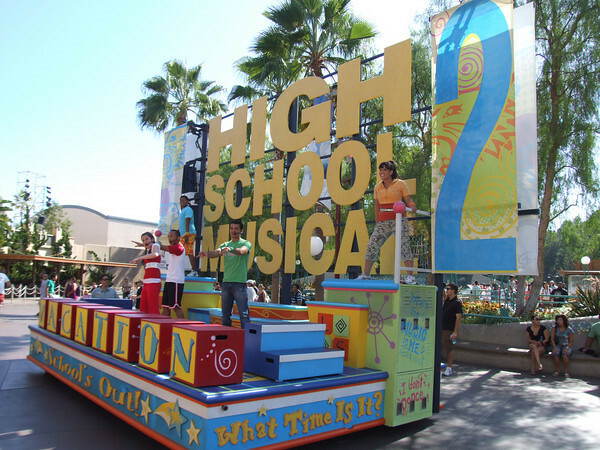 Yesterday had the last ever performance of High School Musical 2: School’s Out!. There will be no High School Musical show until late October, when High School Musical 3: Right Here! Right Now! debuts. Goodbye Golden Dreams, We Will Miss You!